Check out this old school 1993 GMC Typhoon in pristine shape. 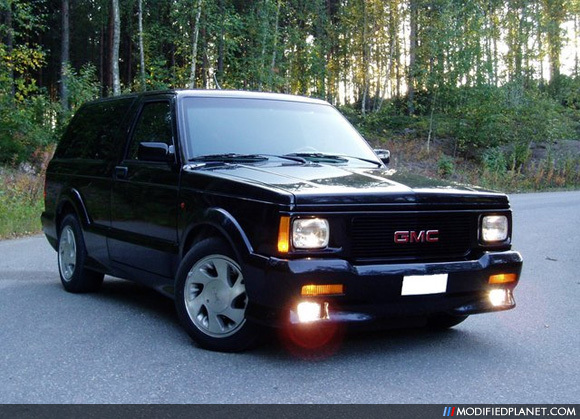 The 1993 GMC Typhoon has a 5.7 liter GM small block engine fitted with a Mitsubishi turbo and a Garrett intercooler. This combination of performance parts produced 280 horsepower and 360 ft-lbs of torque on a 4×4 drive configuration. 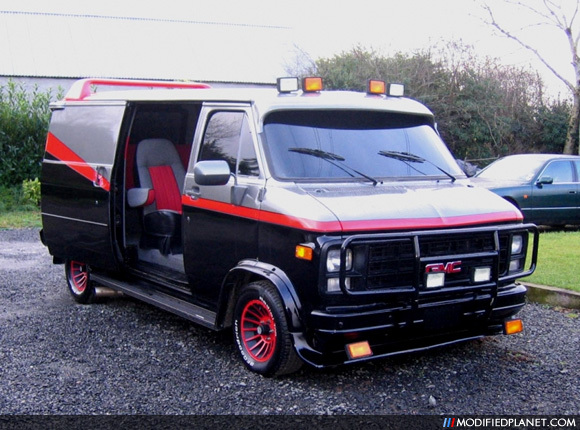 Maybe it was the machine guns in the trunk but we remember the A-Team van being a lot tougher and cooler looking.